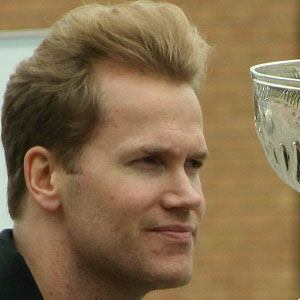 All-Star Canadian defenceman who won the Hart Trophy for his 1999-2000 season with the St. Louis Blues and a Stanley Cup as a member of the Anaheim Ducks in 2007. He left the NHL in 2011 after suffering from post-concussion syndrome and was later hired to assist in the NHL's Player Safety Division. He played minor hockey in his hometown of Dryden, Ontario and later signed with the Stratford Cullitons for the 1990-91 season. He is a member of the elite "Triple Gold Club" for having won an Olympic Games gold medal, a World Championship gold medal and a Stanley Cup. His parents are Jim and Eila Pronger. In 2001 he married a woman named Lauren, with whom he has children named Jack, George and Lilah. He won the 2006-07 Stanley Cup Final alongside fellow Ducks defenceman Ian Moran .